Prestige Roofing began helping people with roofing and remodeling needs in 1996 by industry expert Steven Pennington, who, with our team of experienced professionals, has successfully completed just about every type of roofing project imaginable. We have also created award-winning room additions, kitchens, bathrooms and outdoor living spaces. Prestige Roofing & Remodeling is focused on building lasting relationships. The way we look at it, no job is complete until our client is happy. How is this approach working for us, you ask? Well, we have a long list of happy clients who confidently refer their friends and family to us, and that makes us feel pretty good. Steven’s hard work, honesty and integrity have made Prestige Roofing & Remodeling a flagship business in Broken Arrow, and a well known and trusted name for Tulsa, and all of Northeast Oklahoma. 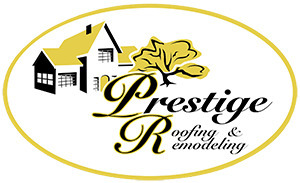 After 20 years of hard work Prestige Roofing & Remodeling is still a family run business and a proud partner of our local community in Broken Arrow. So, if you have any kind of roofing or remodeling need—residential or commercial—we would appreciate the opportunity to discuss it with you. If you choose us as your contractor, we guarantee that you won’t be disappointed.